Paper is a medium that most of us only use for jotting down our ideas and writing down notes, and think that there is no other use of paper except writing. 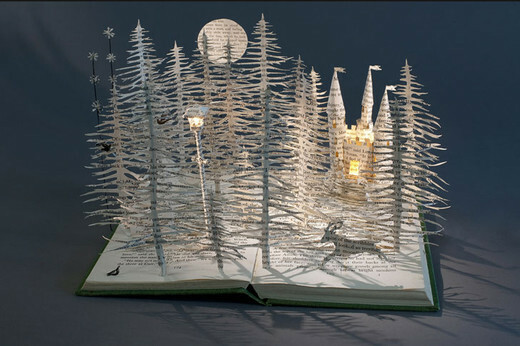 However, some imaginative artists out there have created spectacular pieces of artwork out of paper. 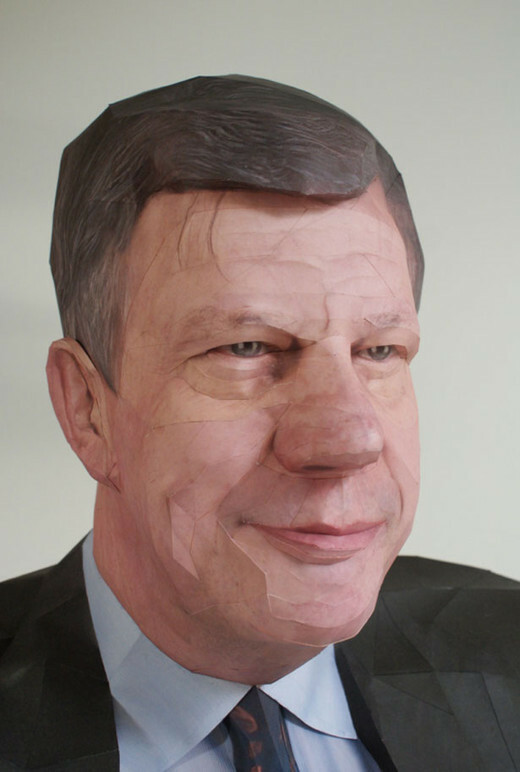 They refer to it as Paper Craft or Paper Artwork. 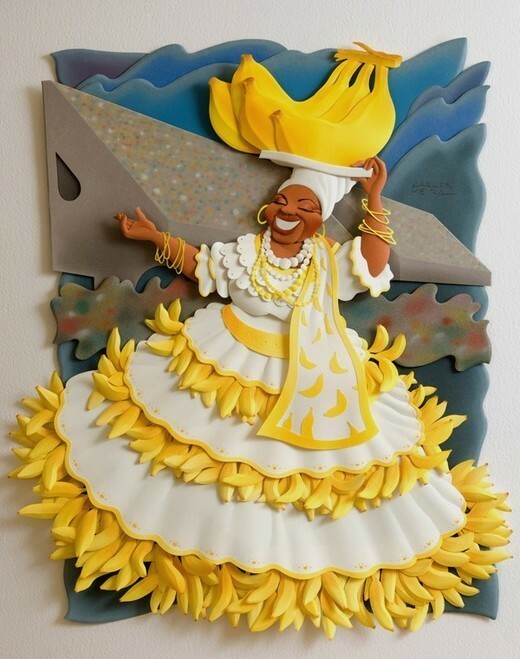 We have already published a post about Awesome Works of Art Made From Paper and that was greatly appreciated by our readers. 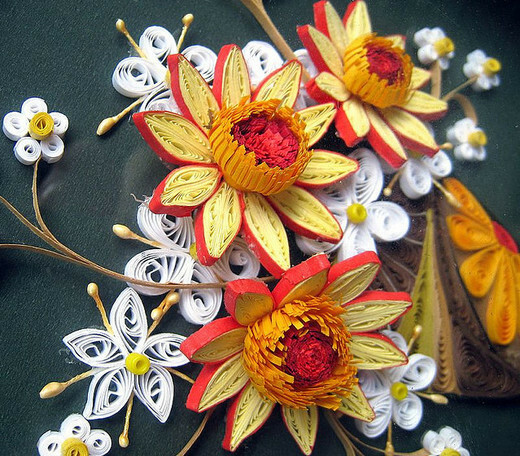 Now we have gathered another great collection of Amazing Paper Made Artworks and Sculptures. This post is meant to pay accolade to those artists who have created such phenomenal pieces of artwork. 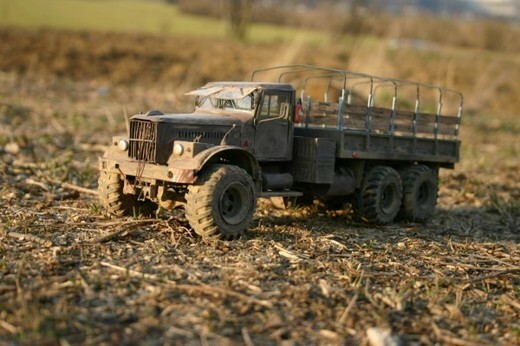 All the examples presented in this post have been created only by using papers from delicate cut outs to the most comprehensive and realistic models. Enjoy! 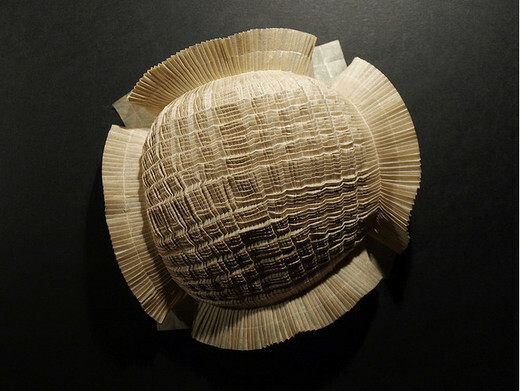 This paper artwork looks so realistic that your brain struggles to grasp whether you are looking at a piece of paper created art or an actual photograph. 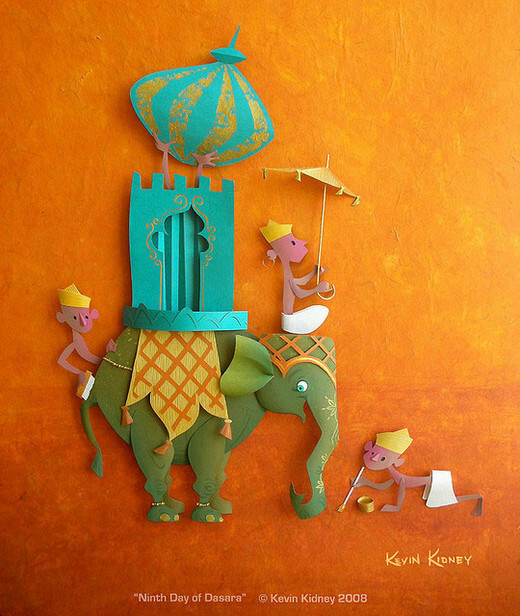 A most beautiful example of paper art, demonstrating the appropriate use of colors to give the work a real unique and appealing look. 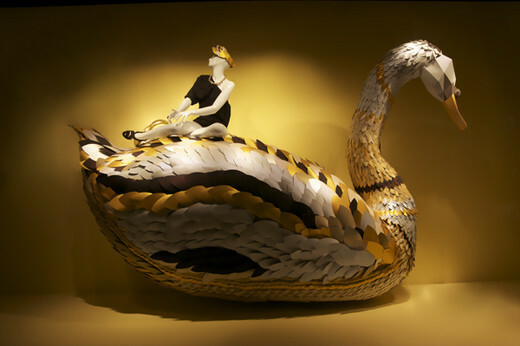 This is truly amazing to see how paper can be used to fabricate such a huge sculpture. 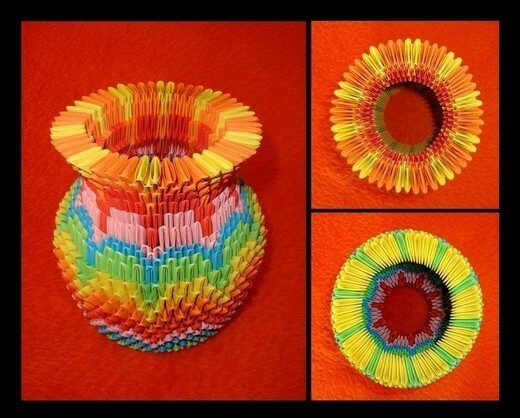 A beautiful and colorful vase made out of papers. See how wonderfully the artist has added the necessary detail. A hard type of paper is used in this artwork to express the hard nature of the fishbowl. 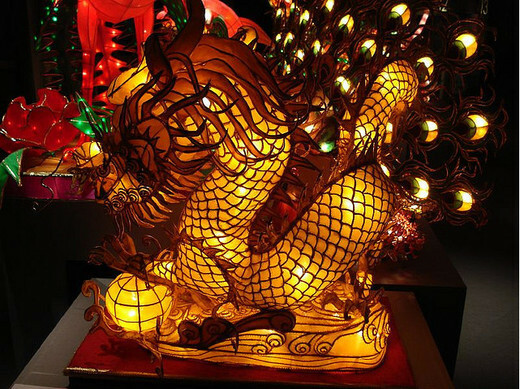 A beautiful example of a paper lantern creation that looks so imaginative and attractive. 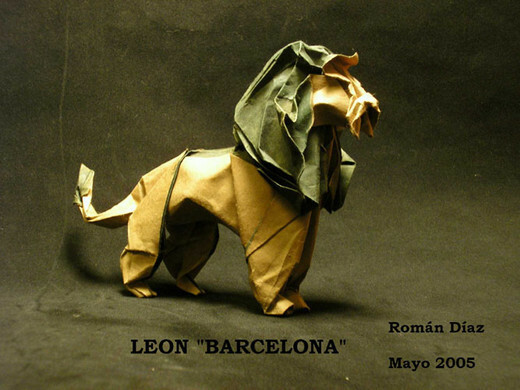 The artist has taken special care with the folds and light indentions in the paper to craft this beautiful paper sculpture of a lion. 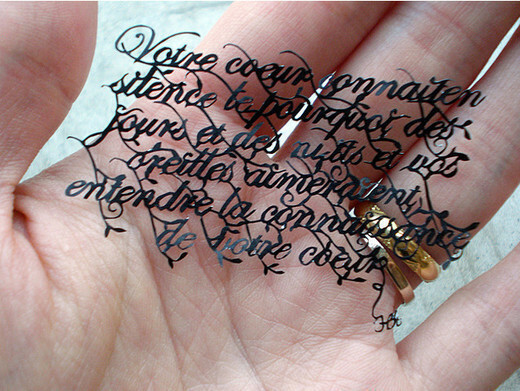 This piece was made with great concentration and skill as the artist carefully carved the words from the paper to preserve the integrity and flow of the letters. 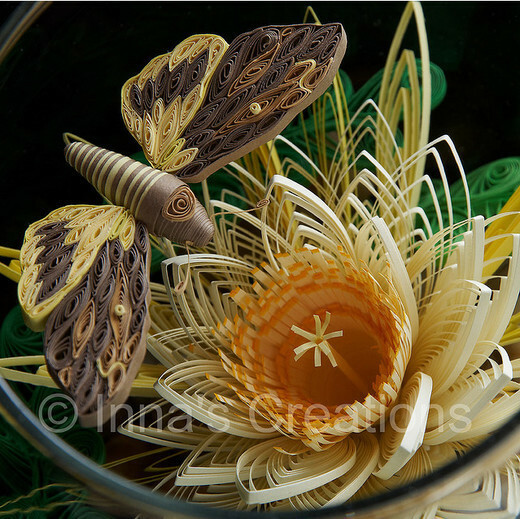 See how creatively paper is used to portray the perfect shape of a sunflower. 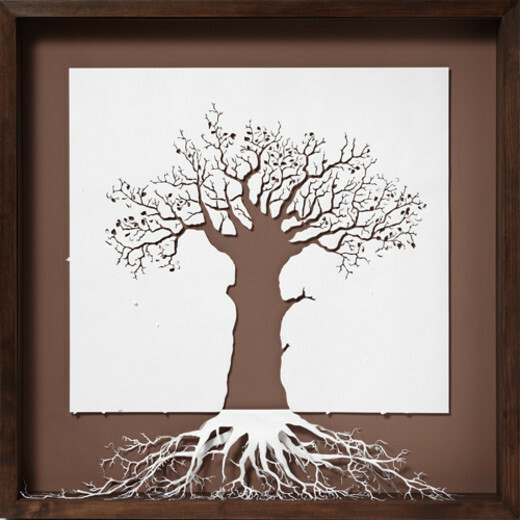 This piece is an amazing example of the intricate and delicate nature of working with paper as your medium, demonstrating another wonderful way in which artists use it. This one is an epic masterpiece among the collection. 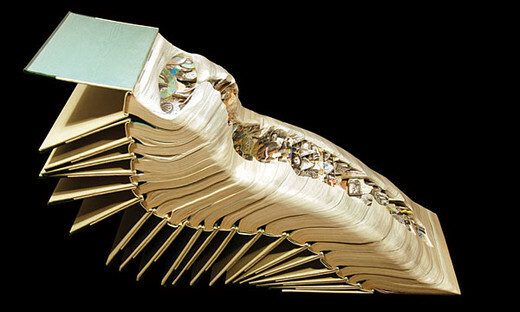 Using over 20 books to carve and arrange an artistic and transformative spectacle. 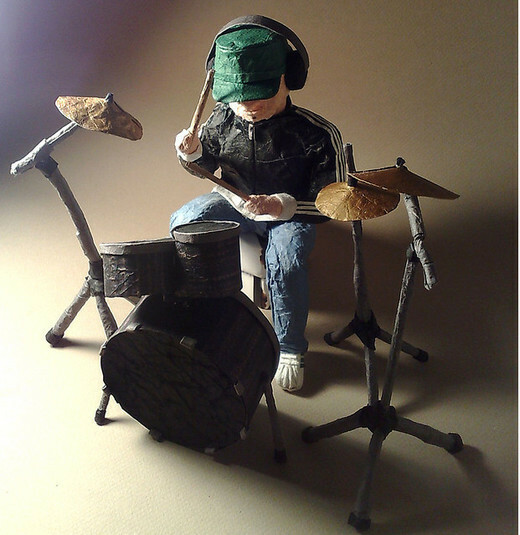 Here the artist molded and folded their way to a scene that is a little bit rock ‘n’ roll, and a whole lot of artistry. The artist of this spectacular cut out was devoted enough to pay close attention to even the minute details in this piece. This next piece is an abstract creation with layers upon intricate layers of creepy cut outs that give the work an underlying wave of discomfort even with its somewhat whimsical appearance. 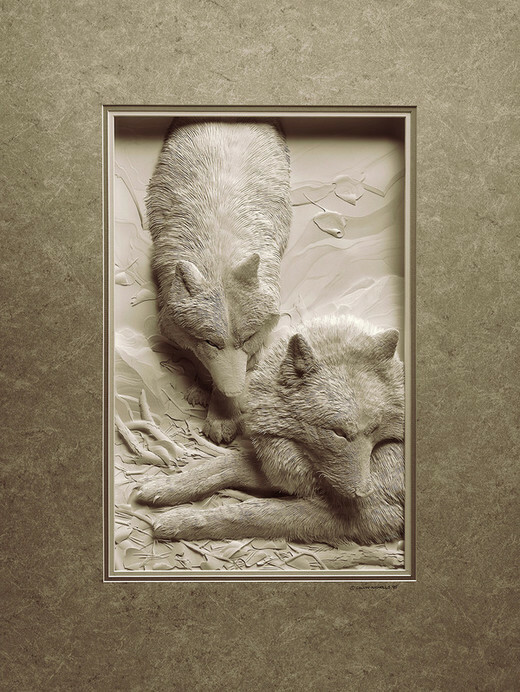 How beautifully a carved sculpture is created and springs to life purely from the pages of the book from which they have come. In this piece, the artist has tried to portray the ninth day of Dasara and has wonderfully and playfully succeeded. 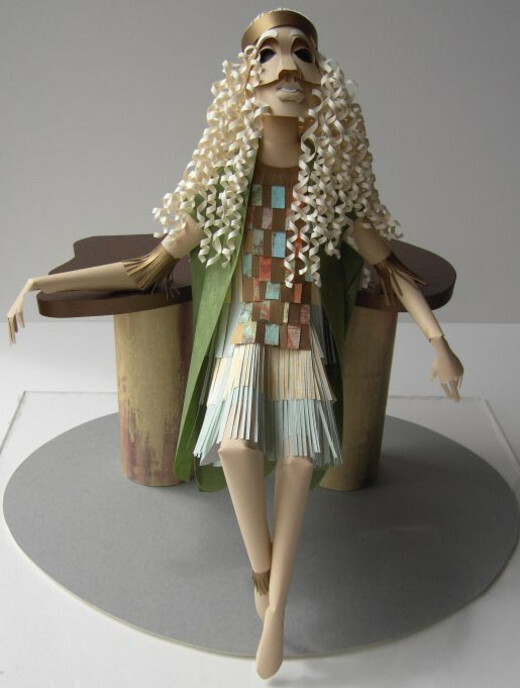 In this piece we see a a beautiful girl wearing a retro looking skirt and top with long curly hair all crafted purely with paper. 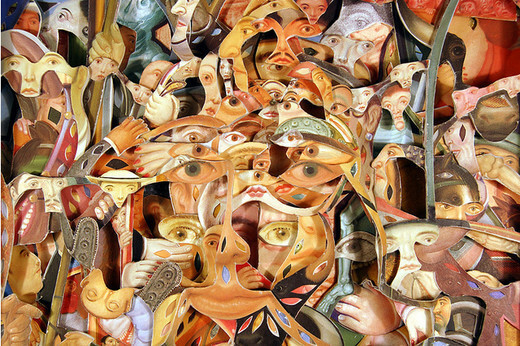 You will surely be amazed with this piece featuring a truly innovative artist’s creativity and limitless thinking. 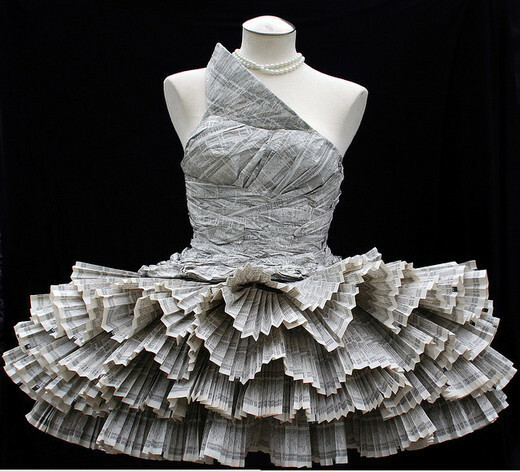 Here an entire dress has been crafted from paper alone. This is yet another masterpiece of paper work. See how wonderfully the facial lines are created to give it a more realistic look. So much character is given to the piece. Here is a sad owl sitting on a branch of a tree for you to see how imaginatively you can use paper in paper artwork. 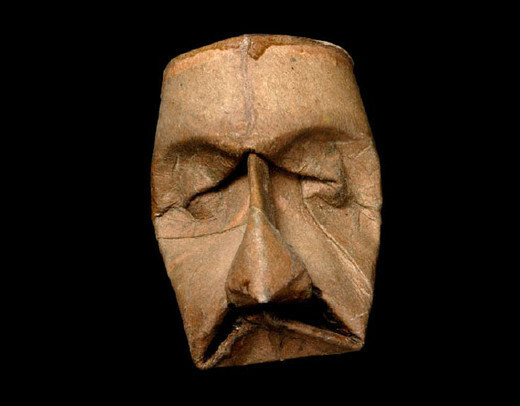 Here the artist has ingeniously made use of toilet rolls to create a realistic face by careful folding and scrunching the paper. 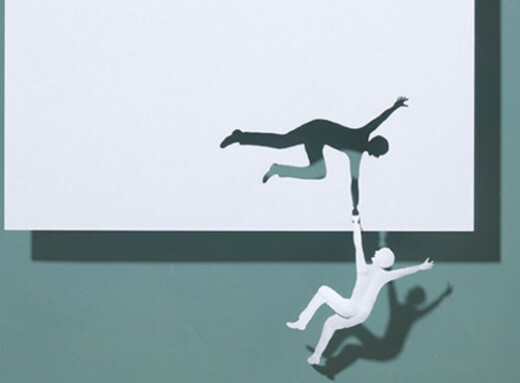 In this artwork, see how the artist has imaginatively used paper to create this illusion, as if the person is holding on to himself. 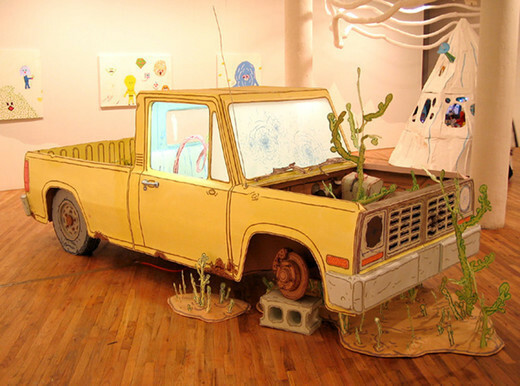 McKimens has successfully brought cartoon drawings to life via hand-drawn and colored sculptures out of paper, for example; clapped-out old truck. This piece is one of the most vividly colored in the showcase. 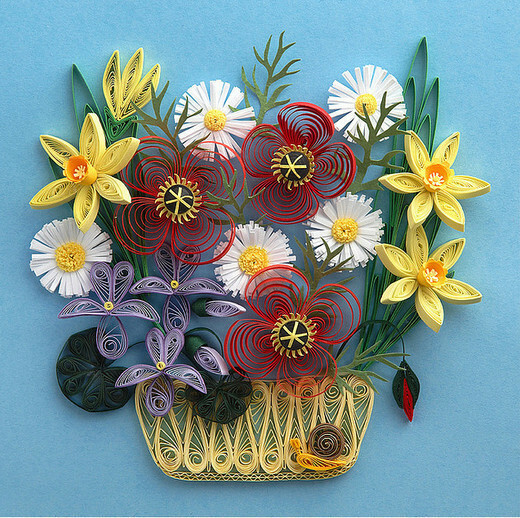 Such a cheerful and celebratory tone exudes from this paper made creation. 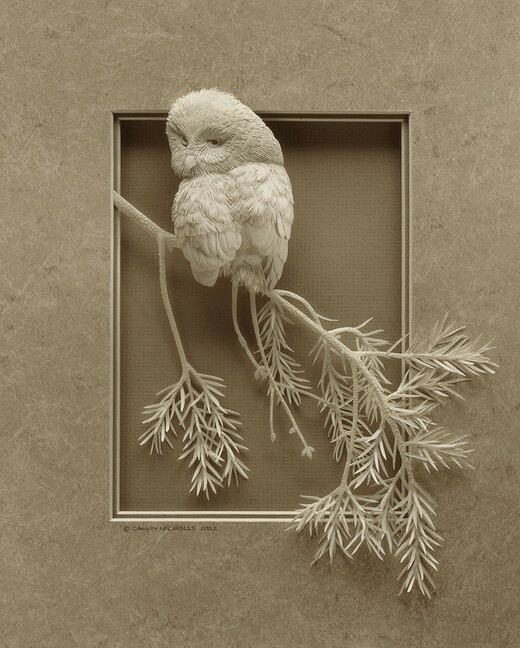 Another creative and brilliant example of paper sculpture that looks as if it is made up of feathers. 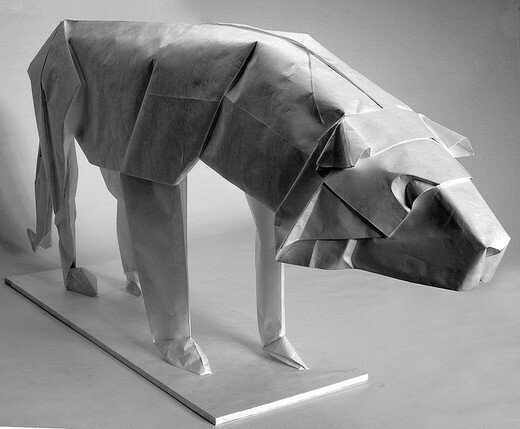 A detail oriented and meticulous paper sculpture of a dog which fashionably fits with his owner. It is inspiring to see how paper sculpture can be used to fashion a life sized portrayal one of the toughest creatures in the world. 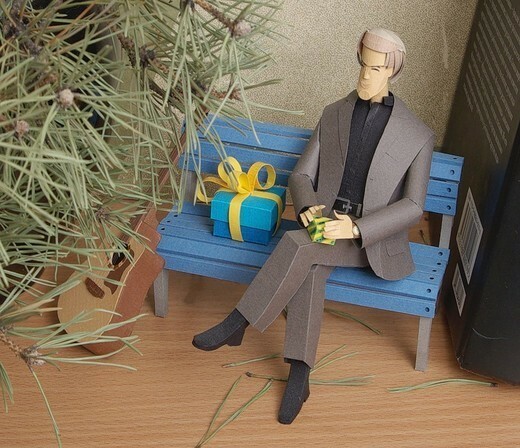 Another beautiful example of colorful paper art work where the artist has playfully crafted a businessman sitting on the bench. This is simply astonishing to see how the feeling of love and affection can also be depicted through the pieces of papers. 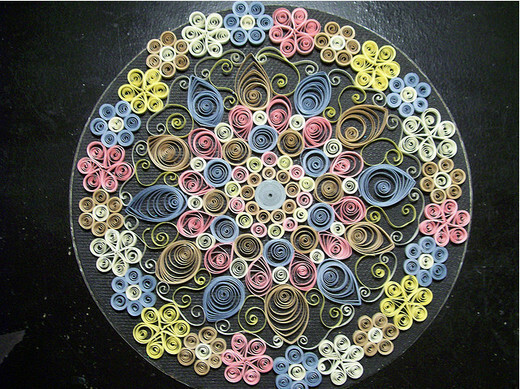 These beautiful and refreshing flowers made out of simple colored papers are enough to please your eyes with their beauty, and stimulate your mind with their complex construct. 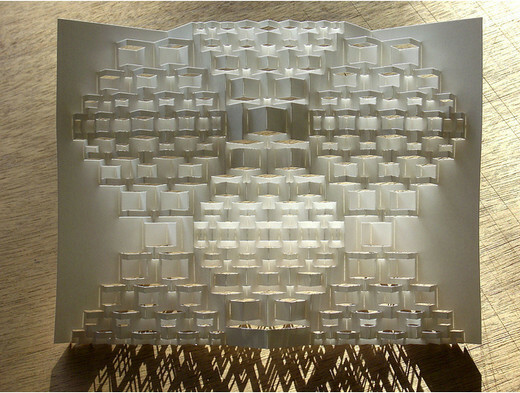 This artwork shows that a complete 3 spine concertina can be created without wasting a single piece of paper. 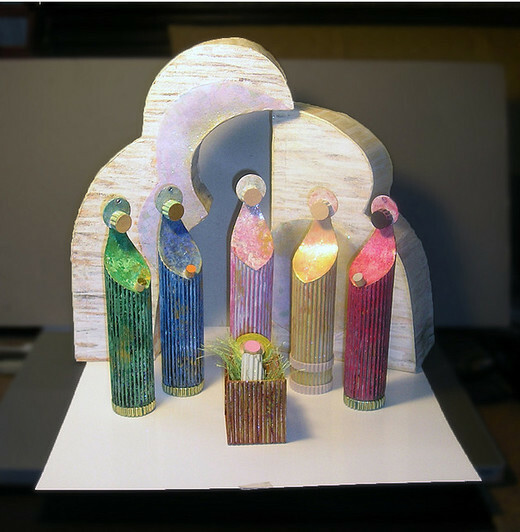 In this simple and poignant piece, the artist has crafted a nativity scene from paper sculptures. 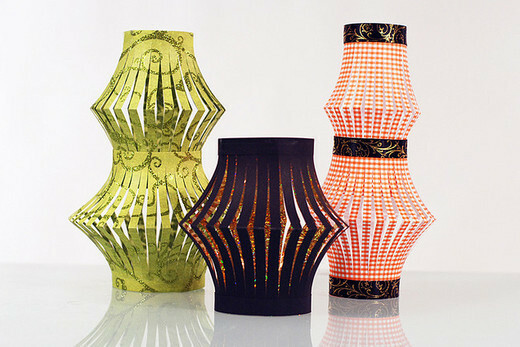 Beautiful paper lanterns of different colors and shapes are created purely with papers. 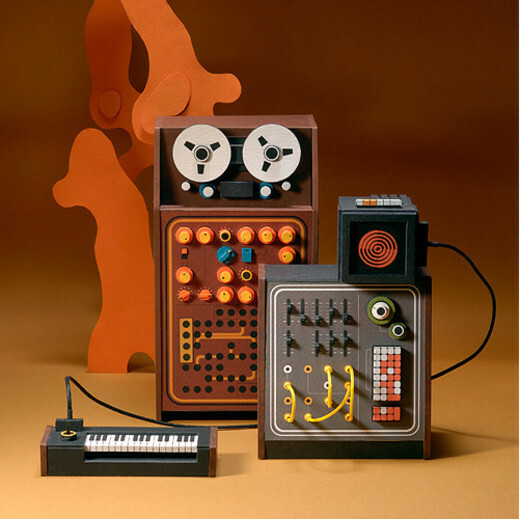 This is such a creative display of paper artwork skills featuring a complete music system made of papers. 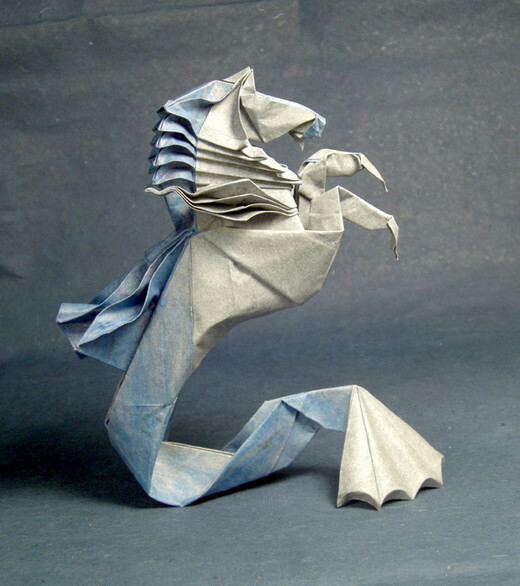 Paper is folded and twisted with special care to breathe life into this sculpture of the mythical hippocampus. 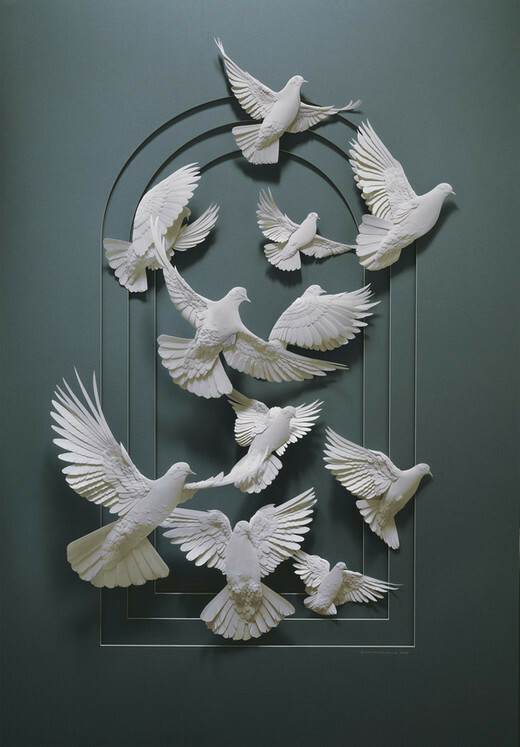 This paper art work delightfully represents a group of pigeons that have just started their flight from the ground. 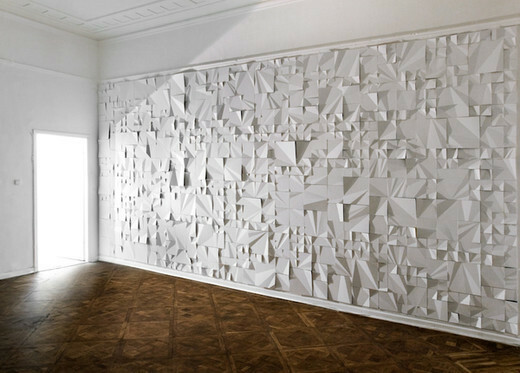 A stunning and impressive wall piece created out of papers only. 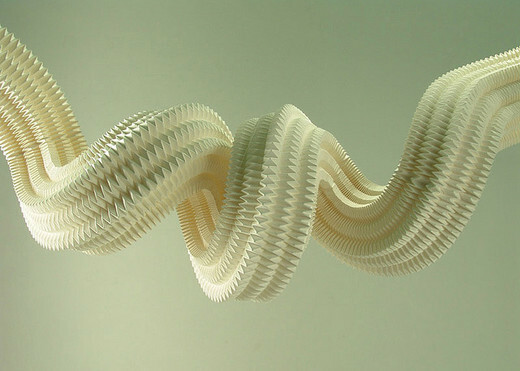 Don’t get tempted with its soft and wavy look because this sculpture is made up of nothing but the papers. 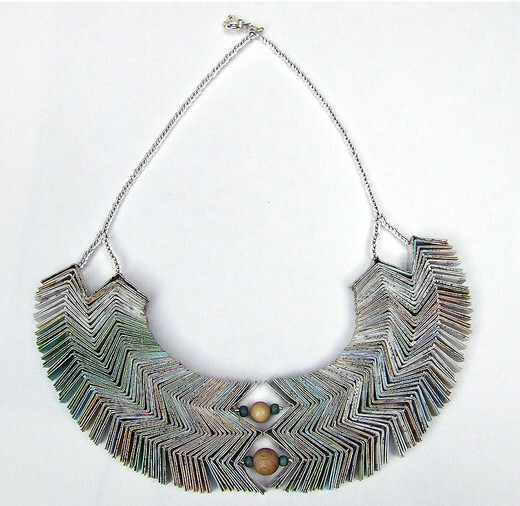 As a little something different, here we have a highly unique approach to jewelry using paper art in the process. 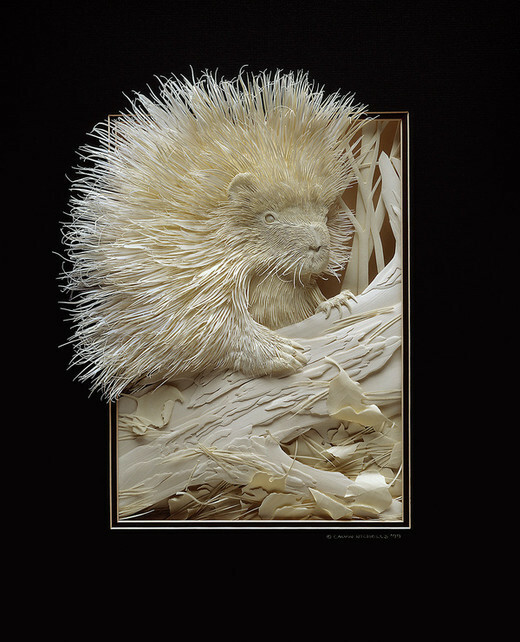 Although this would not be difficult at all to discern as paper, it is still such a compelling and alluring piece of quilled paper art. I wonder at the time that goes into any one of these. I think working with paper is more difficult than any other objects. Wowwww absolutely amazing! love it heaps. Wow, these are beautiful! I wish I had the patience to create something like this. 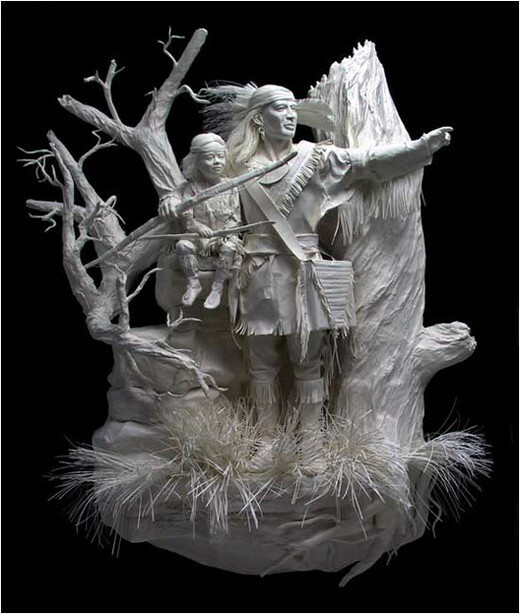 I’ve seen excellent paper sculptures before, but some of these are really impressive. The paper lantern is incredible. Thanks for all of the comments. We are really glad that the post is resonating creatively with so many! Superb creativity. There is no word to appreciate it. For now Amazzzzing. These are stunning! I can’t even imagine how much time and patience you need to create some of these… I tried origami once; took me two to figure out how to make a penguin. Decided to stick with what I know, lol. Thanks you for this beautiful collection.